In Ancient Egypt there was a new pharaoh that rose to power and enforced slavery upon the Israelite tribes. This slavery was extremely harsh and the Israelite slaves were treated brutally by the Egyptian masters. The pharaoh saw the Israelites as a threat because of their big population, so to control this population he commanded that all firstborn Israelite sons should be tossed into the Nile River to drown. 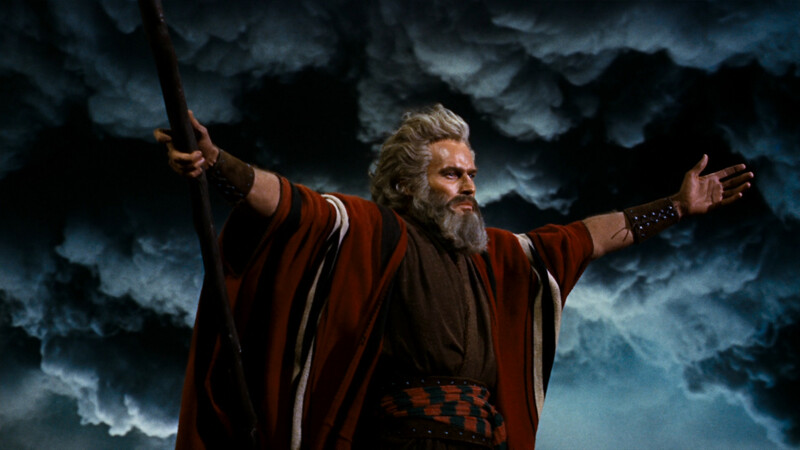 Moses was born in 1392 B.C. in Egypt. His birth parents were Amram and Jochebed. When they heard the news about tossing the first-born son into the Nile they tried to think of a way to save their son. They placed their baby boy into basket and hid him in the tall grasses that were next to the river. A group of women were bathing in the river when they heard the baby’s cry. The pharaoh’s daughter had found the baby and saved him. She decided to give this baby the name “Moses,” which literally means “drawn from the water.” In court Moses was declared the son of the pharaoh’s daughter; he grew up with the ideal life, and even got an education. As Moses grew up into a man he was conscious of his Hebraic (Israelite) background. He showed deep love and passion for his relatives and his people. One day he witnessed an Egyptian master beating a Hebrew slave; angered by this Moses had killed the Egyptian then fled fearing of what his punishment from the pharaoh might be. Instead, Moses became a shepherd in Midian, working for a priest named Jethro. While Moses was working one day he saw a burning bush but noticed that the bush hadn’t turned into ash. G-d started talking to him through this bush saying that he was “the chosen one:” his mission was to deliver the Israelites out of Egypt and unite the people with the one true G-d.
Moses went back to Egypt and informed the pharaoh that G-d wanted him to free His people (the Hebrews). The pharaoh disregard this request and many curses were set upon him and the Egyptians. G-d sent down the Angel of Death to now take the first-born son of the Egyptians. The Israelites were told to spread lamb’s blood across their doorway to signal to the angel to pass over their house. The pharaoh finally declared freedom to the Hebrews and told them to leave at once. Moses led the 600,000 Israelite men as well as many women and children with all of their livestock and cattle on the journey. After a couple of days of traveling they reached the Red Sea and rested. In the meantime the pharaoh regretted giving the slaves their freedom so he got some men together and chased after the Israelites in chariots. When Moses and his people saw the Egyptians coming they began to panic, they were trapped. The Egyptians were charging at them from one side and the Red Sea was on the other side. G-d created a cloud that blocked the Egyptians vision so that they couldn’t attack the Israelites. This gave Moses more time to try to escape. G-d said to Moses “And you, lift your staff and stretch out your hand over the sea, and split it in two, that the Israelites may pass through the sea on dry land” (Exodus 15:16). Moses led the people down this path; as the Egyptian army’s vision cleared up they saw the Israelites and began to charge after them. As they were chasing the Israelites, G-d caused the wheels of their chariots to fall off to stall more time. Once they all made it safely to the other side G-d told Moses to stretch his staff out over the body of water to cause the sea walls to come crashing onto the Egyptians. None of them survived. After Moses returned from the mountain he came back and saw his people worshipping another god; they made a statue portraying a calf. Moses became very mad destroyed the Golden Calf. The people already broe one of the Ten Commandments. Moses lived his life for God and he completed his mission: to save the Israelites and receive the Ten Commandments. He later on died around 1272 B.C. in what is believed to be modern-day Moab, Syria. He was a good prophet of G-d and some even call him the Greatest prophet to have ever lived. Brandt, Edward. “Journey and Events in the Life of Moses.” Latter-Day Saints. Published in October 1973. https://www.lds.org/ensign/1973/10/journeys-and-events-in-the-life-of-moses?lang=eng. Carr, Karen. 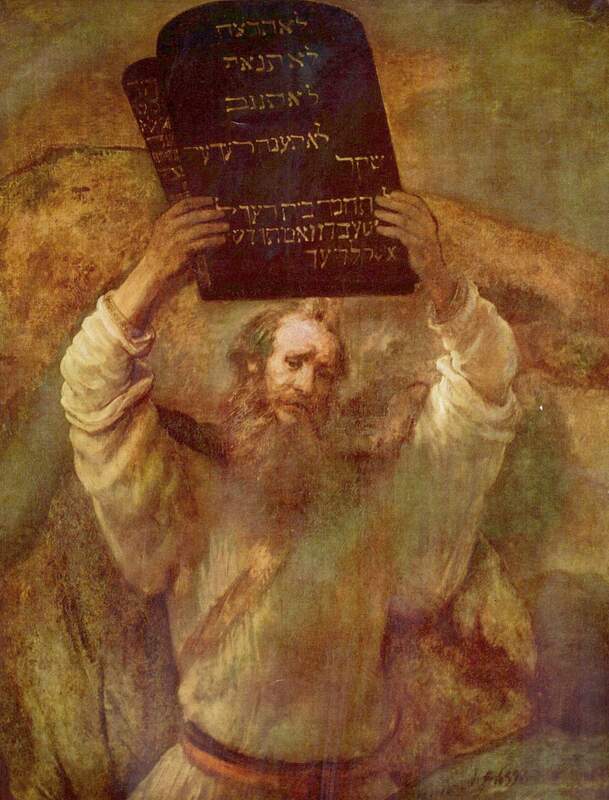 “The Ten Commandments – Jewish Religion.” Quatr. Accessed on May 6, 2017. http://quatr.us/religion/jews/commandments.htm. “Crossing the Red Sea.” Jehovah’s Witnesses. 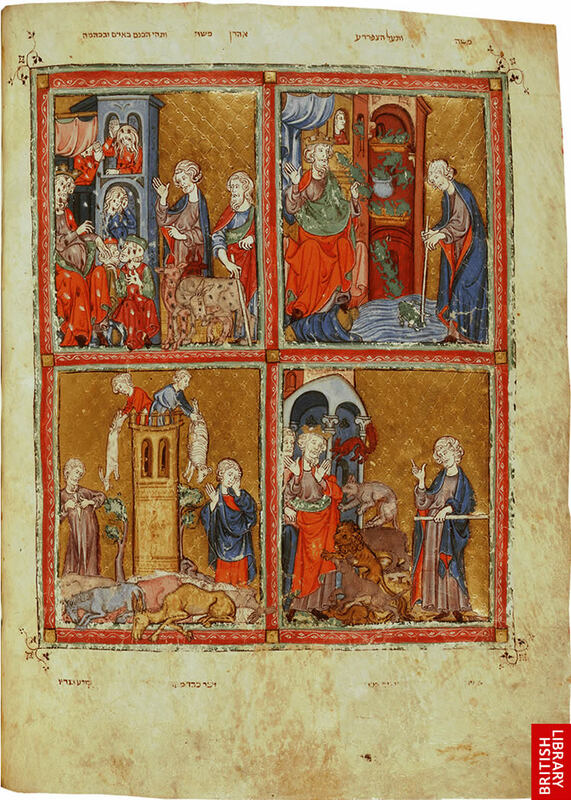 Accessed on May 6, 2017. https://www.jw.org/en/publications/books/bible-stories/2/moses-red-sea/. Damour, Tom. “Moses’ Journey out of Egypt.” United Church of God. Published on April 6, 2002. https://www.ucg.org/beyond-today/moses-journey-out-of-egypt. “Harshness of the Israelites’ Slave Labor in Egypt (Exodus 1:8-14).” Theology of Work Project. Accessed on May 6, 2017. https://www.theologyofwork.org/old-testament/exodus-and-work/israel-in-egypt-exodus-111316/the-harshness-of-the-israelites-slave-labor-in-egypt-exodus-18-14/. “Moses Biography.” Notable Biographies. Accessed on May 6, 2017. http://www.notablebiographies.com/Mo-Ni/Moses.html. The New American Bible. Washington: World Catholic Press, 2010.